Campaign finance laws have now gone 0 for 5 in the Roberts Court. Monday’s Supreme Court decision striking down the matching funds portion of Arizona’s voluntary public financing law—which provided extra public financing for candidates facing free-spending opponents or major outside spending—was no surprise. Indeed, I predicted laws like Arizona’s were doomed back in 2008, on the day the Court struck down a portion of the McCain-Feingold law which raised contribution limits for candidates facing millionaire opponents. 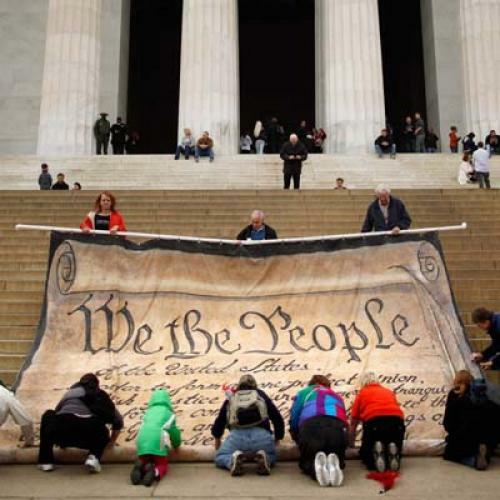 The Roberts Court saw both laws as impermissibly trying to level the electoral playing field. Since 2005, the Court has also struck down Vermont’s campaign contribution limits as too low, narrowly interpreted the McCain-Feingold rules governing corporate campaign spending, and then dealt a death blow to those limits in its most controversial decision to date, Citizens United. Yet today’s decision brings three pieces of unexpected good news to those of us who believe that reasonable campaign finance regulation is not only constitutional, but essential to prevent corruption and ensure fairness in our democracy. First, the Roberts Court seems to have retreated from the suggestion that all campaign finance laws, aside from disclosure, are in constitutional trouble. Citizens United was a case dealing with independent campaign spending, and in its decision the Court was careful to say it was not messing with the other major type of campaign finance law: contribution limits. Controlling the amount of money going to candidates and raised by candidates is a key anticorruption tool. Yet there was language in Citizens United suggesting that even contribution limit laws could be subject to strict scrutiny, meaning they might likely be struck down as violating the First Amendment speech rights of candidates or contributors. In today’s Arizona opinion, however, the Court confirmed that Citizens United did not overturn the law related to contribution limits, finding these restrictions “less onerous” and to be upheld under a “lower level of scrutiny.” That’s important, because opponents of campaign finance laws such as conservative attorney Jim Bopp have been going around citing Citizens United in their attempts to get contribution limits struck down left and right. [Disclosure: I’m defending the City of San Diego’s campaign finance laws against a Bopp attack.] And a federal district court in Virginia recently held that Citizens United implicitly overturned the 100-year-old ban on direct corporate campaign contributions to candidates, a decision the government just appealed to the Fourth Circuit. Today’s language from the Supreme Court should solidify the constitutionality of contribution limit laws, at least for now. Second, Justice Kagan, who dissented in today’s Arizona case, has emerged as a forceful intellectual voice for the constitutionality of reasonable campaign finance regulation. There was a real question about where Kagan would stand in such cases before her confirmation, given some of her academic writing suggesting she might view some campaign finance laws as violating the First Amendment. She still might do so in a future case, but today’s opinion is not only intellectually savvy; it shows a Justice willing to go head-to-head with Chief Justice Roberts in a verbal battle which leaves nothing on the field. Kagan’s dissent was caustic, accusing the majority of missing the point and the challengers to the Arizona law as full of chutzpah. This is Round One in what is sure to be a long battle between the two sides, and Kagan has emerged here as not only an intellectual leader, but a pugnacious, take-no-prisoners’ writer on an issue about which she feels passionately. It is a welcome contrast to Justice Stevens’ meandering dissent in Citizens United. The last piece of good news is that the Court did not level a death blow to public financing laws. Instead, it said that the decision of cities, states, or Congress enact public financing is “not our business.” The problem with Arizona’s law was not that it gave public financing for elections to candidates, but that it pegged the amount of financing to the political spending of opponents or independent groups opposing the candidate. But lump sum payments should be okay. The big question left open is the fate of public financing programs such as New York City’s, which give extra matching funds to participating candidates who collect small donations. This program doesn’t directly violate the rule in today’s Arizona case, because the amount received is not triggered by opponent spending. But the question will be whether the motive for such programs is to level the playing field. Under the Roberts Court’s view of the First Amendment, such an interest remains verboten, even if, as Justice Kagan points out, the law also is justified on anticorruption grounds. Without something like additional matching funds, it is hard to see how governments will enact public financing programs that are both constitutional and attractive enough to candidates. To be sure, campaign finance proponents still lost. The Roberts Court remains hostile to the need to control money in politics. But we may not be seeing the full end of campaign finance law, at least not yet, and Justice Kagan has shown that the other side won’t go down without a fight. Richard L. Hasen is a visiting professor at UC Irvine School of Law and writes the Election Law Blog.